The importance of wellbeing is increasingly recognised as a crucial aspect of tourism and an area of strategic growth amongst tourism providers. 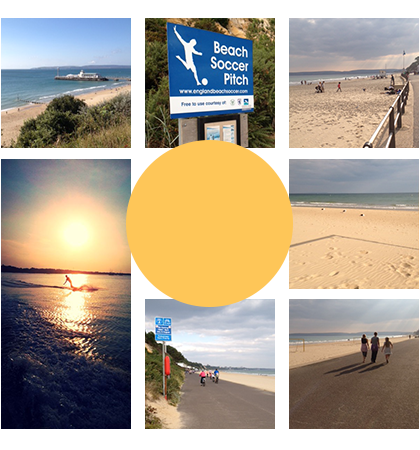 However in the local area of Bournemouth and Poole, although wellbeing is an emerging area of interest from a policy perspective, the tourism potential of a positioning towards wellbeing has not been fully realised, providing an ideal platform to launch new product initiatives aligned to wellbeing. Health and wellbeing represents a significant growth opportunity for the visitor economy that contributes towards the quality of life of both residents and visitors. Through the creation of a network of tourism destination stakeholders, Destination FeelGood aims to establish Bournemouth University as a central knowledge exchange partner and the National Coastal Tourism Academy (NCTA) as a knowledge broker, sharing tourism wellbeing expertise with the local public and private sector, inspiring innovation in healthy lifestyle products and enhancing business performance and ultimately the local tourism economy. The NCTA research has shown that one in five of us go on a dedicated wellness holiday at least once a year, that’s eight per cent of all overnight coastal trips in the UK. Promotion of wellbeing as a destination resource. Welcome to the project website of Destination FeelGood. 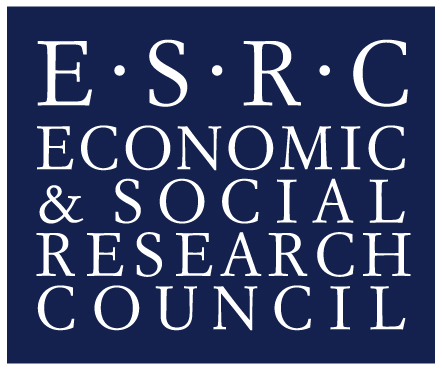 Here you can find all the relevant information and latest news from this 1 year Research Council (ESRC) funded project (running from August 2014 to July 2015). Destination FeelGood offers the opportunity for connecting different destination stakeholders, with the specific aim of facilitating innovation in healthy lifestyle products while contributing to a competitive local tourism economy. Through inter-stakeholder dialogue, tourism businesses will be in a position to increase their marketing effectiveness, and develop new products and services that will provide an enhanced value-added experience for visitors. This project will accelerate tourism business growth via an improved understanding and implementation of wellbeing and it will facilitate the exchange of knowledge between tourism businesses, policy makers (both public health and tourism), and wellbeing academics. Tacit knowledge in particular is required for innovation and this network will provide the platform for the conduit translating this into action to enhance destination competitive advantage. This website is a hub for the knowledge we have gained through the project as well as a resource for others interested in developing their own wellbeing market. Three main outcomes have been achieved in the geographical context of Bournemouth & Poole and the surrounding environs (areas that have a natural potential for wellbeing). The project worked with approximately 100 visitor-facing businesses to inspire innovation in healthy lifestyle products and services for visitors, thereby boosting business performance. The project focused on inspiring visitor-facing businesses to develop new health and wellbeing products, such as cycling packages, to encourage a healthier lifestyle. A self-selecting network recruited through the NCTA met in unique ‘Ideas Cafes’ six times through 2014-15 commencing October 2014. Each session was facilitated by Bournemouth University and National Coastal Tourism Academy staff and featured invited speakers on a specific aspect of wellbeing whilst allowing for mentoring activity, business to business. Examples of best practice via case studies will act as a catalyst to foster innovation in co-creating destination and well-being products. The Ideas Cafés focused on three areas – marketing and product opportunities, employee wellbeing and food innovation and legislation. Consultancy projects were assigned to students providing them with real life research opportunities in hospitality, media, tourism and wellbeing. Employers also benefited through receiving tailored, cost-effective research and being given a greater understanding of the health and wellbeing sector. Promotion for Destination FeelGood on the website creates a platform for business and government partners to communicate and engage in active dialogue. This sets the foundations for longer, self-sustaining activity for Destination Wellness, as it moves into its second phase in 2015-16. It is hoped this will be a hub to provide opportunities for cross-discipline dialogue and to establish a health and wellness knowledge bank for coastal destinations nationally. Emphasis will be on the exchange of knowledge in a manner that sets the foundations for a longer-term self-sustaining network and a common online presence will be supplied to provide opportunities for cross-disciplinary dialogue and capacity-building, establishing a knowledge bank in this field. Bournemouth University (BU) is a modern and innovative institution with six distinctive Schools and over 16,000 students with a significant proportion of international students from around 120 countries. BU has maintained its position as one of the UK’s leading ‘new’ universities for many years. The main applicants are based in the School of Tourism (ST), and School of Health and Social Care (HSC) and therefore represent pan university expertise and disciplines. Bournemouth University has a long and successful track record of working in partnership with business and industry to deliver and support knowledge transfer. 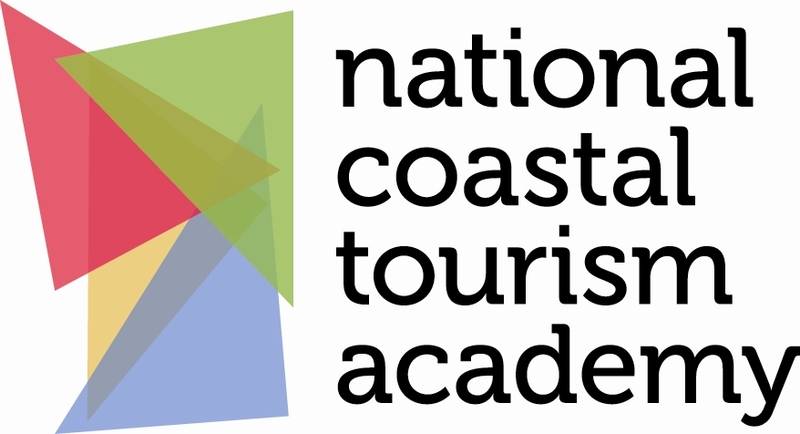 The National Coastal Tourism Academy (NCTA) was set up in 2013 with funding from the Coastal Communities Fund to understand the nature of coastal tourism and develop routes to successful job creation and growth in the visitor economy. During its first phase, it used Bournemouth as a test-bed to tackle four key issues facing coastal destinations: improving the visitor experience, supporting the tourism industry to grow, bridging gaps between research and development and supporting the creation and evaluation of a new coastal visitor attraction. In addition, the NCTA has created an online Resource Hub to disseminate wider best practice and is creating a Virtual Learning Environment to provide a break-through, go-to resource for the tourism industry as a whole. For further information on our work and new research projects, visit www.coastaltourismacademy.co.uk.resource-hub . Dr Heather Hartwell, Professor, is a registered nutritionist and Trustee of the UK Royal Society for Public Health, where she is actively involved in policy decision making at the highest level. Her work on tourism and wellbeing is aligned with national research agendas where it featured in the recent Research Councils UK ‘Big Ideas for the Future’ identifying the relationship between recreation, leisure and wellbeing as a key theme for the next twenty year time period. She is editor of the highly acclaimed Perspectives in Public Health, a peer reviewed practice based journal, published by Sage. Dr Ann Hemingway is a senior public health academic and registered nurse. She is Chair of the European Academy of Caring Science and a member of the international Cochrane Nursing Priority Setting Group. Ann`s work is focused on the reduction of inequalities in health and her research and practice developments activities are funded locally, nationally and internationally through a variety of organisations including the EU, Research Councils UK and local authorities and various charities focused on this area. Dr. Adele Ladkin, Professor is a specialist in tourism human resources focusing on human capital development and addressing the human resource challenges of the tourism labour force. Her interests and publications are in the areas of labour migration, education and labour mobility and career development in tourism, hospitality and the conference industries. Driven by national and international agendas to examine the world of work and its implications for societies, organisations and individuals, tourism labour research is receiving greater attention from both academics and practitioners. Her recent research has moved into the area of technology and tourism, specifically in relation to the role of technology in connecting migrant workers and the work life balance of the mobile workers in tourism. Professor Ladkin has many years research experience, having worked with a number of research clients including the UNWTO, the Commonwealth Tourism Centre, The European Universities Association, the London Development Agency, the London Chambers of Commerce Commercial Educational Trust, British Airways, OYC Hotels and Intercontinental Hotels. Samantha Richardson, NCTA Director. 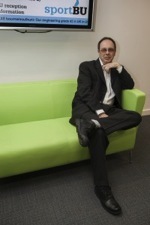 Sam has directed the research, visitor experience and training programmes of the NCTA. She has an MSc in Tourism Management from Sheffield Hallam University and a Tourism Studies degree from Bournemouth University. 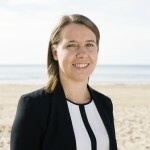 She has helped co-ordinate the Destination FeelGood programme in partnership with Bournemouth University, encouraging local tourism businesses to develop products for the growing health and wellness market. Stephen Page is a Professor of Tourism and currently undertaking the role of Deputy Dean (Research) in the School of Tourism. He has published extensively in the Tourism area with over 100 journal articles and 36 books. He is Associate Editor of one of the top Tourism journals - Tourism Management. He's currently working on a number of interdisciplinary research projects (Tourism and the Digital Economy funded by ESRC; Dementia and Tourism funded by Bournemouth University's Research Fund; Water Equity and Tourism in conjunction with Tourism Concern funded by a grant from London Metropolitan University and the National Coastal Tourism Academy Funded by the UK government and collaborative research on economic modelling). He holds an Honorary Professorship with Cardiff Metropolitan University and an Honorary Doctorate in Tourism and has authored a number of the leading texts in the field, many now in 4th editions (Transport and Tourism, Tourism: A Modern Synthesis and Tourism Management). One of Destination FeelGood’s key outputs was facilitating student-employer engagement. This gave undergraduate tourism students direct links with industry to help them apply research and see it driven into action. It also gave businesses a deeper insight into the market to enable them to develop products to grab a slice of this growth sector. There are three student case studies. 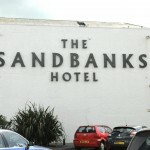 The Sandbanks Hotel, Poole, Dorset. The importance of employee wellbeing. 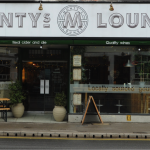 Monty’s Lounge Restaurant, Bournemouth. A local, sustainable, ethical business that’s using wellbeing to create connections between businesses and suppliers. Pine Ridge B&B, Poole, Dorset. Using wellbeing and health to add value and promote a business. The NCTA commissioned new research from independent research company BDRC to find out exactly how big the health and wellness market is and the opportunities for growth in coastal destinations. The market is worth more than £314bn annually and is growing. Our survey of 2,000 people found that one in five of us takes a wellness break and 59 per cent of us opt for a coastal setting. The Destination FeelGood project has helped small businesses see the potential to tap into this market. Read more on our research and the growth opportunities for tourism. Have you seized the opportunity to tap into this burgeoning sector? Have you developed healthy products, services or holiday packages? Maybe you’ve launched a unique, locally sourced menu? Or simply adapted your offer to appeal to a new market – walkers (storage for muddy boots), cyclists (installed a cycle rack) or water sports fans (drying area for wetsuits)? If so, we’d love to hear from you. Please send us any case studies that you would like us to highlight. 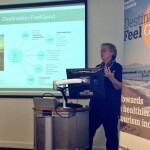 Bournemouth University as lead dissemination partner for the Destination FeelGood partnership maintains this website on behalf of all the research partners.